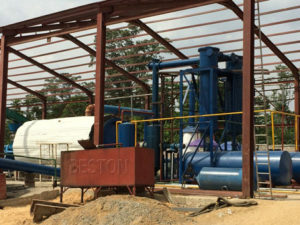 Making pyrolysis oil from plastic waste has supplied a new solution on disposal of waste plastic materials. Due to the wide raw materials resources and low cost, the oil from plastic machine, also called plastic into oil machine, has huge market potential and economic benefit. 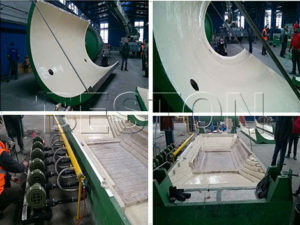 It can not only solve waste plastic disposal problem, but also can bring benefits for customers. 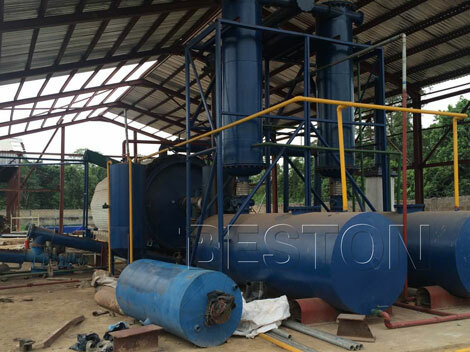 The pyrolysis of plastic to oil is a chemical process which can change high-molecular compound into other low molecular compound by high temperature heating. 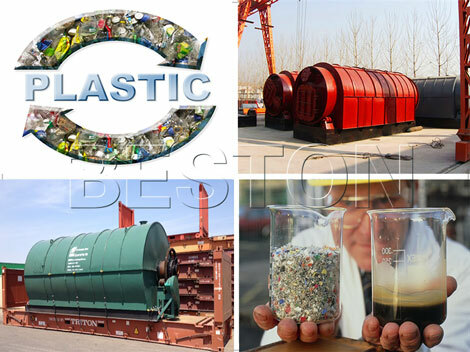 After finishing the whole plastic pyrolysis process, we can get useful products that have wide applications. 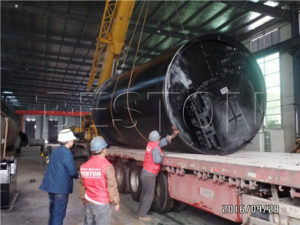 The plastic pyrolysis oil can be used as fuel materials for burning or further refined into diesel or gasoline for low speed engines by plastic to diesel machine; the carbon black can be used for construction bricks with clay or used as fuel. Both of them have high value and demand in the market, which will get your investing cost back soon and also help relieving energy crisis. 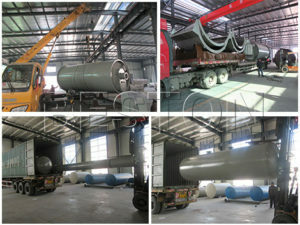 The plastic pyrolysis oil price is quite high in the market, which has left a large profit margin for customers. 1. The main components of the exhaust gas that cannot be liquefied includes alkane class from C1 to C4, whose direct burning is dangerous. Therefore, make it do through water seal of the first safety device firstly before burning up them as fuels, and further make them pass the gas burner of the second safety device. It is safe. 2. 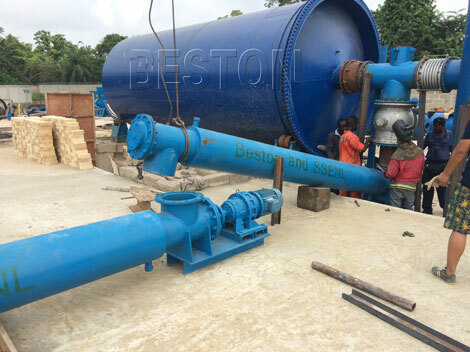 The water seal has functions of desulfurization and impurity removal. 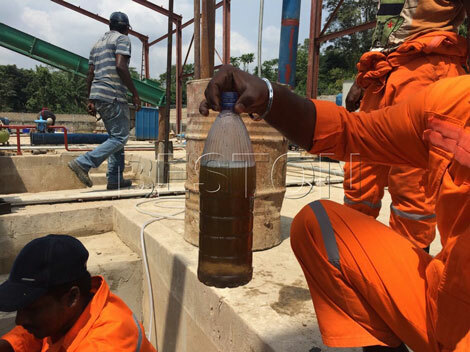 After going through the water seal, the resulting oil gas is clean and desulfurization. 3. With the fully automatic welding technology, it can not only greatly improve the working efficiency, but also guarantee the welding quality. 4. Specific operating tech can solve all the bugs during the production. 5. The professional thermometer and pressure gauge can inspect temperature and pressure at any time. 6. The newest heating method has combined the advantages of direct heating and indirect heating, which makes the operating safer. 9. 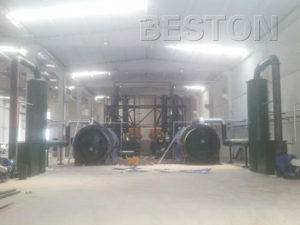 In the daily operation, the exhaust gas room is closed. When the pressure is too large, you can open the exhaust gas room and make the gas directly burned. 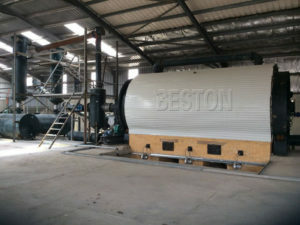 It can rapidly reduce the temperature and pressure in the pyrolysis reactor. 1. 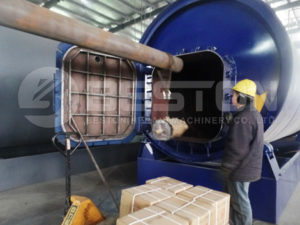 Reactor: the material of the reactor is Q245R boiler steel and the thickness is 16mm. Outside of the reactor is casing which is special keep-warm device and can save much fuels. 2. 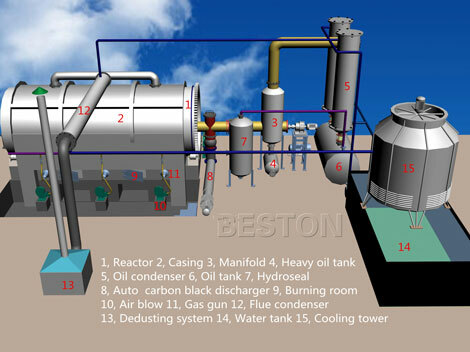 Manifold: it can separate light oil from heavy oil; the light oil will rise into next step (cooling system); the heavy oil will go to residual oil tank and return to reactor by oil pump for being refined again. 3. 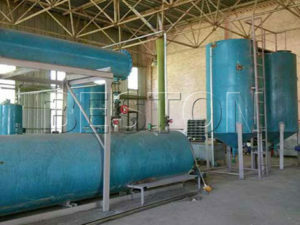 Condenser: it can change oil gas into liquid oil. 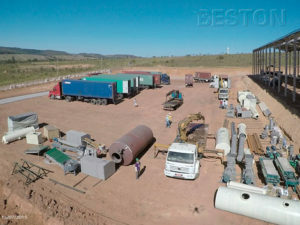 Our special structure of the condenser can guarantee the cooling effect. 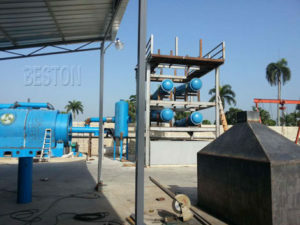 Meanwhile, the cooling water don’t contact with oil directly, which is quite environmental friendly. 4. Hydroseal: when waste gas goes through hydro seal, most the pollutant will be removed. And then, the clean gas will enter special gas gun to heat the reactor. It is a safe device and can prevent tempering. 5. Dedusting system: we have three steps to clean the smoke before it goes into the air to ensure pollution-free.